Without proper care, the workplace might end up consuming as much as 20 percent more energy than it should, can your business afford this? Such systems such as industrial heaters as well as factory heaters can lead to a drastic increase in the overall energy bills in the workplace. If you add in the cost of lighting and that of leaving computers in sleep mode, it can only mean that you will end up paying more than usual. So what can you do to improve the energy efficiency of the workplace? One of the ways to improve energy efficiency in the workplace is to use an AmbiRad heater. They use shortwave infrared technology for more pinpointed heating of solid objects in the room. For that reason, this type of factory heating systems does not experience any form of thermal loss. It works by producing electromagnetic waves which directly warn objects and people within the heat range of the system. You cannot compare them to convection heat systems which are so inefficient due to the huge amount of heat lost through the open door or rising hot air. What you get from an AmbiRad heater is a combination of reduced energy costs and lead times. One of the ways in which traditional factory heaters waste a lot of energy is through the production of unnecessary sound. An AmbiRad heater is totally quiet. What that means is that you save a lot of energy compared to pushed air systems which work through heat convection. 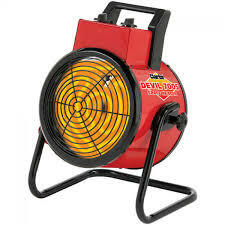 If you are looking for a quiet, energy-efficient warehouse, make sure you employ infrared factory heaters. Who wouldn’t want a quiet working space? 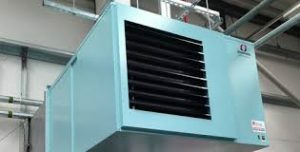 Conventional factory heating system relies on the movement of air to deliver heat throughout the room. That means that any changes in air-flow such as those caused by open doors and windows can result in the loss of energy. That might mean turning up the industrial heater to produce more energy. An AmbiRad heater would be much more efficient than that. When installed on the ceiling, it will send infrared rays to the floor. Heat will be generated as soon as the infrared rays heat the floor. With time, this heat will rise up into the air, thus making the room to be heated evenly. You wouldn’t find a warehouse heating system that is this efficient.